My skin has always been one of my biggest insecurities and so in my time with ALLLL the skincare woes, I have tried my fair share of products. 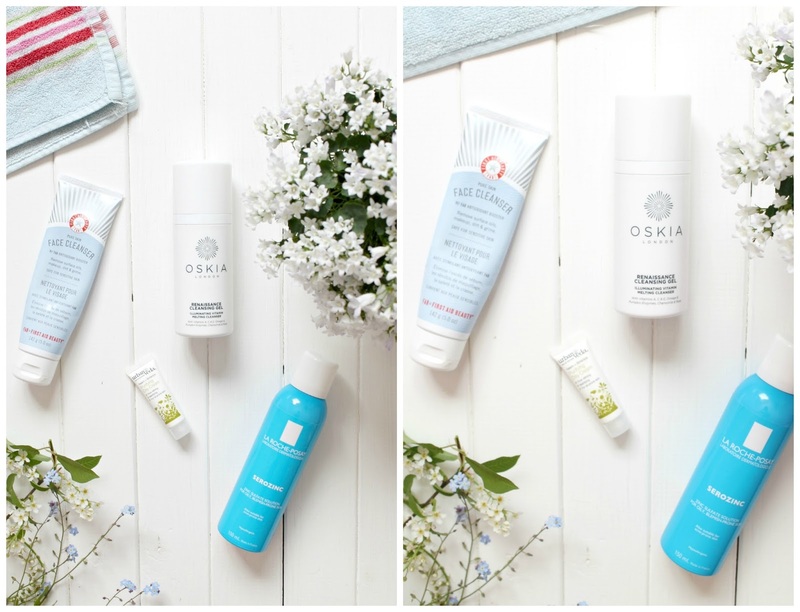 I know in many cases, overloading your skin with different cleansers, serums and oils can only make the problems worse so I've consciously tried to maintain a solid routine whilst changing up products to find any sort of skincare solution. I've also been taking the pill (dinette) for around a year now which aims to clear up acne too but alas that has only made my skin worse over time. I've stripped back my routine to cleanse, tone, moisturise/day cream with the addition of occasional face masks or direct spot treatment. Here are my four current faves that (touch wood) have been working wonders for my skin recently. I have put off this purchase for SO long down to the out-of-student-budget price tag but whilst browsing BeautyBay and adding to my imaginary shopping basket, the £5 off discount made me add it to be real life basket in a fluster of excitement. I've seen almost every blogger under the sun mention how fab this product was and oh hey they were right. The cleanser claims to be illuminating and ideal for almost every skin type, gently removing make up or impurities from the skin. I've never used a gel cleanser like this before and it feels so indulgent and relaxing to cleanse your skin this way as the product literally melts into your skin. The website lists an abundance of benefits from using this cleanser and I would have to agree with them all; the cleansing gel is P E R F for my oily skin, leaving it clean, mattified and glowing! I cannot recommend this cleanser enough for anyone struggling with their skin. Again another product I love using! I saw this used along with the Oskia cleansing gel over on Kate La Vie's YT channel and absolutely adore the combination. The spray means of distributing the product onto the skin is so easy, quick and for someone who sometimes CBA with their skincare routine, is the best toner for any lazy peeps like me. It's specifically designed for those with oily or blemish prone skin (me all over) and I find it mattifies the skin whilst still leaving it glowy and clean. It feels light under make up and I definitely notice a difference in the way my foundation looks after using this product! Despite this product taking a back seat behind my the Oskia gel, I wanted to give it a mention anyway as it has definitely been clearing up my skin in the past. This is the first product I have tried from First Aid Beauty and has opened the door to a whole world of other products I *need* plus the gorgeous colour palette of the packaging (important, duh). This cleanser is the perfect gentle product to remove dirt and impurities from the skin and I definitely found to calm redness over time. It is advertised as fragrance free however I definitely notice a scent when applying this product (weird???) however again is described as suitable for sensitive skin! I love this product for when my skin needs a deeper cleanser however because it is a foaming cleanser it can have a tendency to be slightly drying on my skin and therefore might not be the best for every day use if you have oily skin. Urban Veda is not a brand I had come across until earlier this year when I was lucky enough to be given some freebies after helping out at fashion week. The brand is all natural which gets a thumbs up from me and has really helped with the way my make up looks and feels on the skin, especially after a long period of time. I've never used a day cream before but I love the way this product (again) mattifies my skin and reduces the appearance of my ginormous (sigh) pores. The scent of the cream is fairly heavy with tea tree and spearmint being the most obvious notes but this has never irritated my skin and actually seems to have calmed it and reduced redness! What a life saver tea tree is, eh? 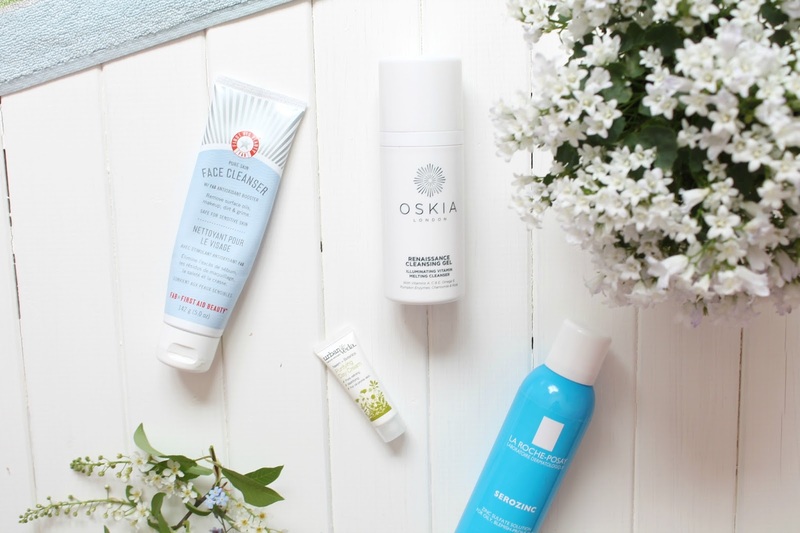 Definitely one to go for if you're also battling oily skin! Let me know if you have any skincare must haves in your routine and if there's any I should keep on my radar!